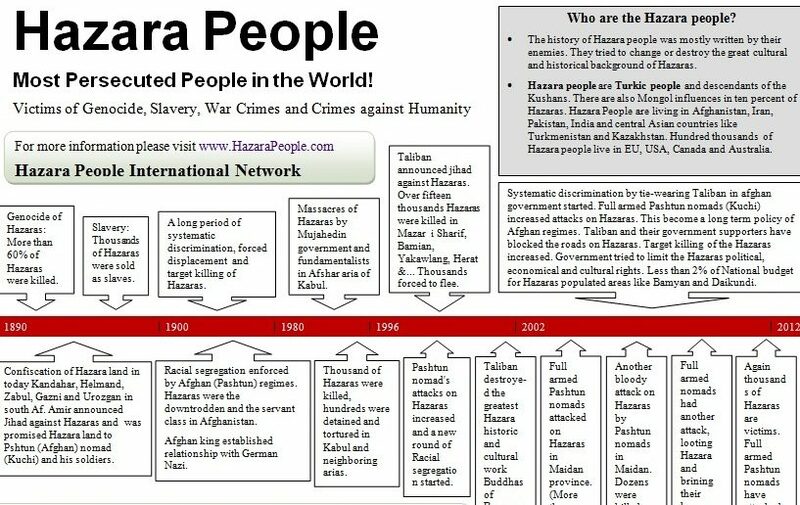 Hazara People International Network: This Timeline has been developed to provide a snapshot of the Hazara’s situation in Afghanistan since 1890. 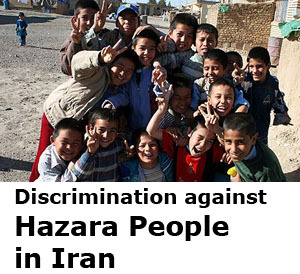 Hazara people are the most persecuted people in the world. 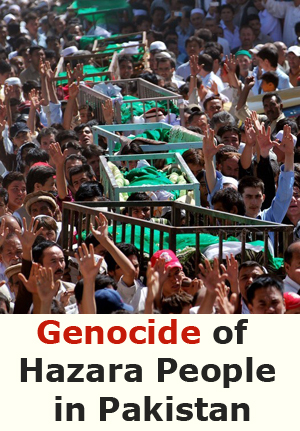 They are victims of genocide, slavery, war crimes and crimes against humanity. 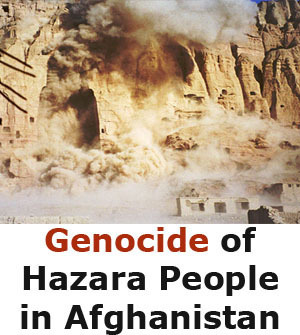 This timeline shows how the systematic crimes against the Hazaras is continuing. 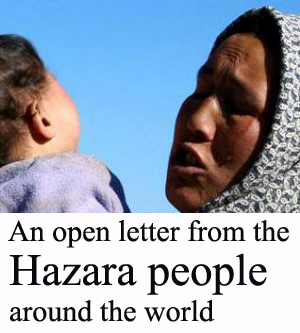 Click here and download into pdf format. 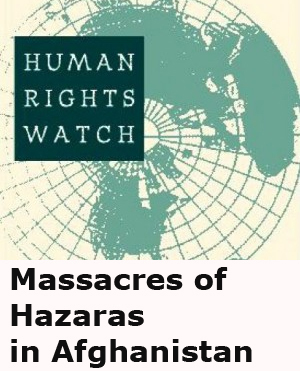 Do you have the videos and photos taken by school students and local people from the scenes of Kochies attack on Malestan and Nahor in Ghazni province? 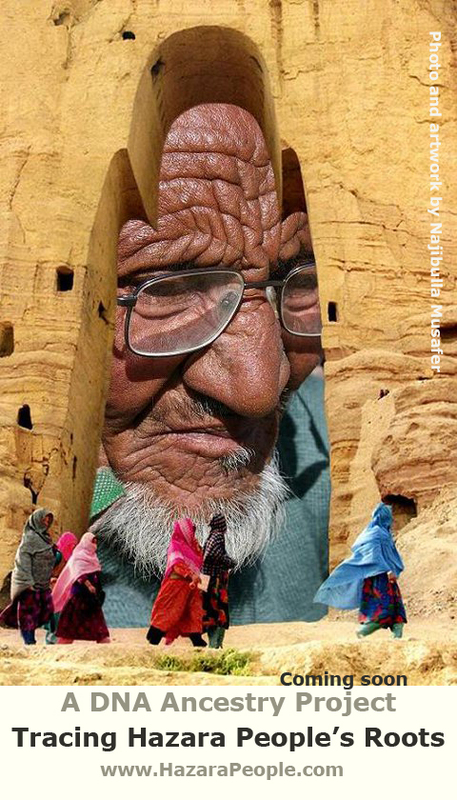 Can you please share some news and photos about the event in Summer 2011 in here?